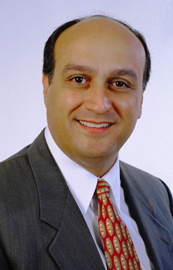 Michael Sahakian, a licensed broker and Assistant Manager at the Coldwell Banker/Previews in Beverly Hills South office has distinguished himself as a prominent and widely respected real estate professional who is committed to serving his clients in Bel Air, Beverly Hills, Holmby Hills, and throughout the Westside. As the high end real estate market becomes more and more competitive, buyers and sellers are looking more closely at the experience and performance of their agents. A consistent top producer since he began his successful career in 1987, and among the top 1% of agents internationally, Michael has the necessary skills to keep pace with and interpret dynamic market conditions in order to provide his clients the necessary advantage required to negotiate a successful transaction. Michael has teamed up with a high end realtor in France who can handle any real estate needs in Paris, Nice, Cannes and that immediate area. Please contact Michael for the contact person at WWW.LIMMOBILIER.FR in Nice France.